I think we can all agree that runners are some of the most kind, caring, courteous and respectful people on the planet. However, even the best of us can occasionally get swept up in the excitement of the moment or allow ourselves to behave differently in a crowd. 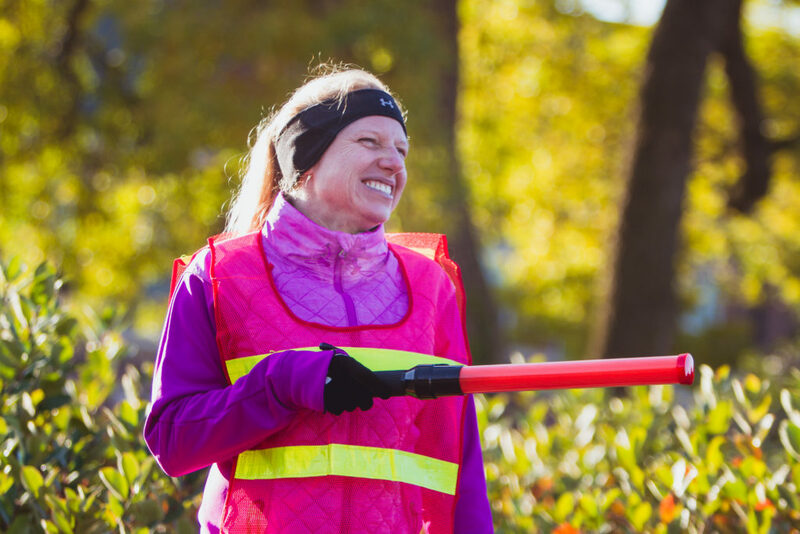 As Market to Market Relay runners, we have a special responsibility to be respectful and courteous to other runners, volunteers, and to the residents in the communities where we run. We call this the “Run Above” code of conduct. Here are some tips to help you and your teammates abide! Be Nice and Say Thanks: Volunteers are there to make your race awesome and safe. They are likely also giving their time to support a local charity. A smile and a thank you go a long way. Maybe go the extra mile and hook a volunteer up with a fun sticker or piece of candy. Who doesn’t love a high-five? Think Twice: It sounds crazy, but there have been occasions where a participant has yelled something at a volunteer that they likely regretted as soon as they said it. If you find yourself in this situation, take a deep breath, smile, give the volunteer a thumbs up and remember that volunteers are what make this event possible. You’ll be glad you did. Be Patient and Follow Instructions: Volunteer groups have been trained to make the event as smooth as possible. Remember, volunteers are doing the best job they can. Help them out with a little patience and trust that the volunteer instructions will get you to the right place. Things may not always be perfect. Be proud of how you respond. Pick it Up: Please put all trash in proper receptacles. If none are available, please carry it with you and dispose of later. Let’s leave the course better than we found it. Be a Good Neighbor: Be aware of resident and business property that is not a part of the event. Don’t cut corners if you will be trespassing. Choose your parking spot so that you don’t block resident or business driveways. Use Designated Restrooms: Enough said. Mind the Noise: We want to be invited back, so be aware of the noise we are adding to the local environment, especially early in the morning and in the evening. 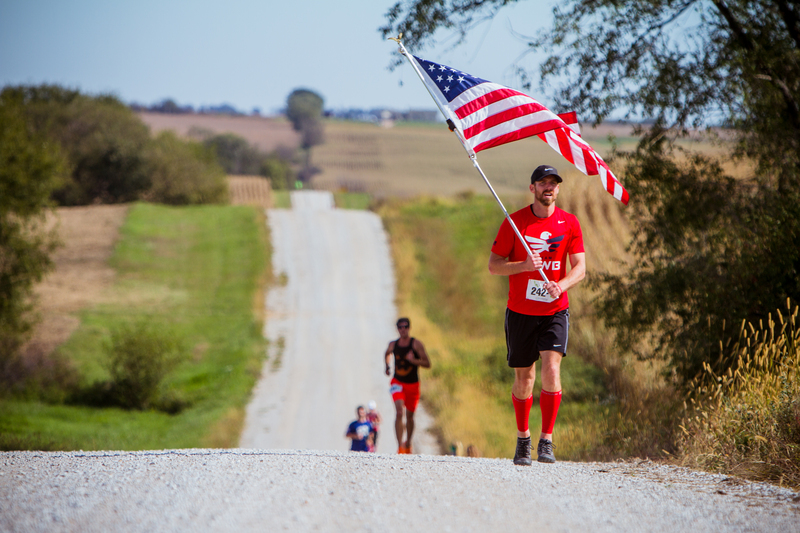 Don’t Start the Party Early: Consuming alcohol during the race is not allowed and most of the locations on the course specifically prohibit alcohol including schools, parks and local laws. Save the celebratory drinks for after the race at the designated post-race party. Support Local! Enjoy the local flavor by eating at local restaurants and buying gas along the course. If a local attraction tickles your fancy for a later date, let them know you heard about them through participating in the Market to Market Relay. Take the High Road: Conflict among runners or teams is rare, but can happen. Remember the Golden Rule. Use common sense. Be competitive, but don’t take things too seriously. Choose your attitude and have fun. Be a Cheerleader: Few teams will be on the podium at the end of the day, but everyone’s giving their best. If you see someone giving a solid effort, let them know. See someone struggling? Give encouragement! Cowbells and vuvuzelas highly recommended. Lastly, please hold yourself, teammates and other runners accountable to the guidelines mentioned above. If you see another runner breaking a race rule or the “Run Above” code and conduct, we’d love to hear from you. Please report offenses to the phone number listed in your Race Guide.